“I know in my heart of hearts this will be the generation that restores life in America,” Pence said at a luncheon in Nashville, Tenn., hosted by the Susan B. Anthony List & Life Institute, an anti-abortion organization. Pence has long championed anti-abortion policies, as a congressman, as the governor of Indiana and as vice president. He told the crowd he has seen more progress in the Trump administration’s first year in office than he has in his entire life. Since President Trump took office last year, he has signed legislation reversing an Obama-era rule that blocked states from defunding Planned Parenthood and reinstated a ban on federal funds for global health programs that cover or promote abortions. But the political reality in the Senate has made it difficult for Congress to accomplish big priorities like defunding Planned Parenthood and banning abortions after 20 weeks of pregnancy. 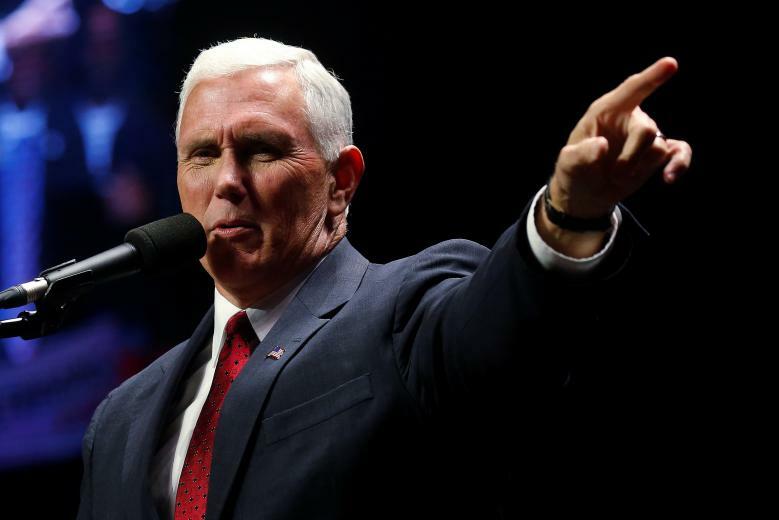 “Let me admonish you as we go forward in this cause in 2018 to understand while we have made great progress, we have much work left to do,” Pence said. He noted that while a ban on 20-week abortions passed the House last year, it failed in the Senate in January, where Republicans have a slim majority. All but three Democrats blocked the bill and two Republican senators also voted against it. Don’t say “abortion.” Realize the word’s been twisted to mean something it was never intended to mean. Say “the murder of a young person” until we come up with an accurate shorter term.